SteelSeries introduces a new technology in gaming sensor technology at CES 2018, the TrueMove3+ Dual Optical Sensor System. 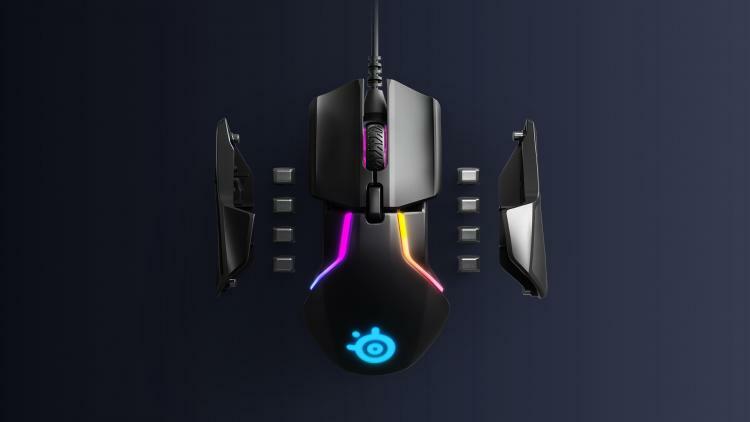 It will be exclusive to the new SteelSeries Rival 600 gaming mouse. The TrueMove3+ Dual Optical Sensor System is the Rival 600's primary sensor with a secondary optical sensor that exclusively tracks lift-off distance. This technology offers the most accurate sensor for gamers offering unlimited physical and technical customisations. The dual sensor system removes all possibility of jitter and cursor disparity on liftoff movements and offers the lowest lift-off distance in the market. The Rival 600 is the most precise and customisable mouse that gives gamers unmatched precision and increased accuracy. The TrueMove3+ combines the first true 1-to-1 tracking sensor with a second Pixart sensor exclusively tracking the liftoff distance. 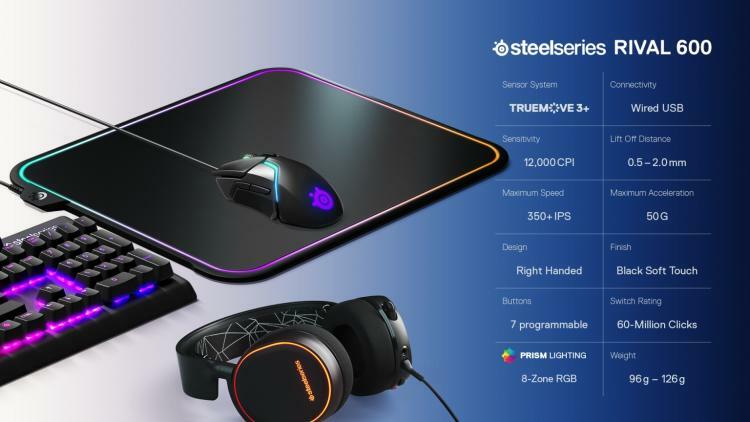 The TrueMove3 is a 12,000 CPI, 350 IPS optical sensor that SteelSeries built with sensor industry leader, PixArt. TrueMove 3's 1-to-1 tracking from 100 to 12,000 CPI delivers true esports performance. 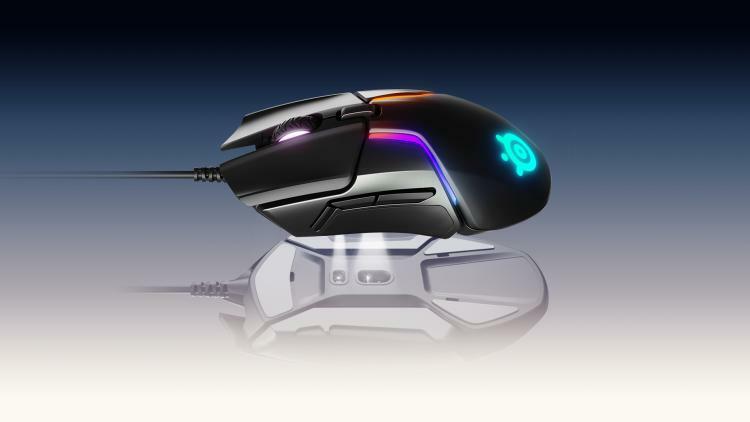 The TrueMove3 was first introduced with the Rival 310 and Sensei 310 gaming mice. The custom-engineered TrueMove3 SROM dramatically reduces response time and greatly increases accuracy. 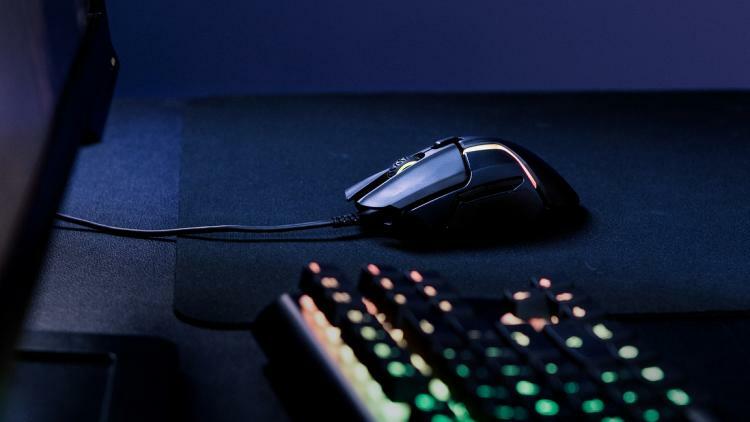 The SteelSeries Rival 600 gaming mouse with the TrueMove3+ Dual Optical Sensor System is now available at the SteelSeries webshop and Amazon UK with an MSRP of £79.99.